Today at Starbucks if you bring in your reusable cup they will fill it for free with freshly brewed coffee in support of Earth Day! Also, watch for your free movie code today from Red Box. 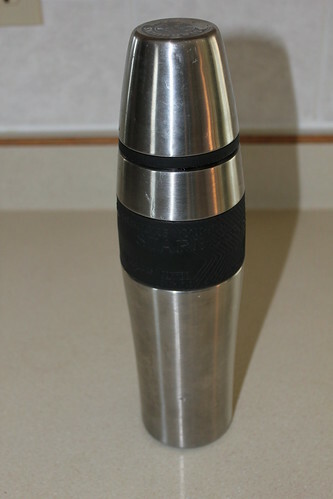 This is my favorite Thermos I got it last year at a garage sale for $1. It seems that coffee gets hotter throughout the day! Love! So, I will be on the hunt for another one of these this garage sale season!